UK Defence Secretary Gavin Williamson has been widely criticized for suggesting on Thursday that “Russia should go away and shut up” over Britain’s response to the poisoning of former double agent Sergei Skripal. Tory minister Williamson made the comments while speaking at an event in Bristol. “Frankly, Russia should go away and shut up. But if they do respond to the action we have taken we’ll consider it carefully and we’ll look at our options. But it would be wrong to pre-judge their response,” Williamson said. Defence secretary, Gavin Williamson: "Frankly, Russia should go away and shut up." Good to know we're ruled by Sensible Grown-ups, eh. "Frankly Russia should go away, it should shut up." No, not a line from the Inbetweeners or Peep Show, but a real life line from Gavin Williamson, the British Defence Secretary. 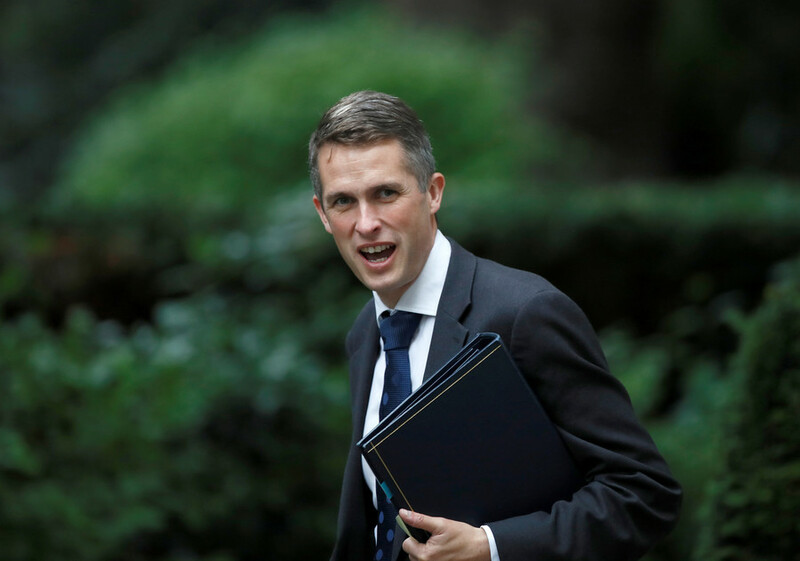 Memo to Gavin Williamson: telling Russia to ‘go away and shut up’ probably won’t work. Our defence secretary dishing out a threat you’re more likely to hear on the playground. Gavin Williamson is a child. The greatest security threat since the war, and we have a pre-pubescent schoolboy in charge of our armed forces. Gavin Williamson has told Russia to "go away and shut up", which my sources tell me is a strategic step up from "go to your room and think about what you've done." Others wondered whether Williamson was even fit for the job and criticized his diplomacy skills. Some questioned how on Earth he was even picked for the role. Gavin Williamson moves on from "Russia should go away and shut up" to "relations ain't good are they." Said with all the gravitas of a former fireplace salesman. “Go away and shut up” - Gavin Williamson finesses the government’s response to Russia. "Frankly the Russians should go away--"
"And they should shut up--"
Williamson made the remarks during his first keynote speech since being appointed last year. During his address, the minister announced that the UK is to construct a £48 million (US$66.8 million) chemical weapons defense center to tackle what he claims is a growing threat from Russia and North Korea.